Naka Noi island sunset dinner. This is our other half day afternoon speed boat tour to Naka Noi island. Naka Noi is great for many reasons, it is not far to travel to from Phuket, roughly 5 to 10 mins. Also a large range of FREE activities to do on the island. If you still feel that you have a lot of energy to burn after swimming, snorkeling and lounging on the beach, there is a list of paid activities for you to do as well Like renting a jet ski, riding the banana boat, parasailing and a few others listed below with their pricing. 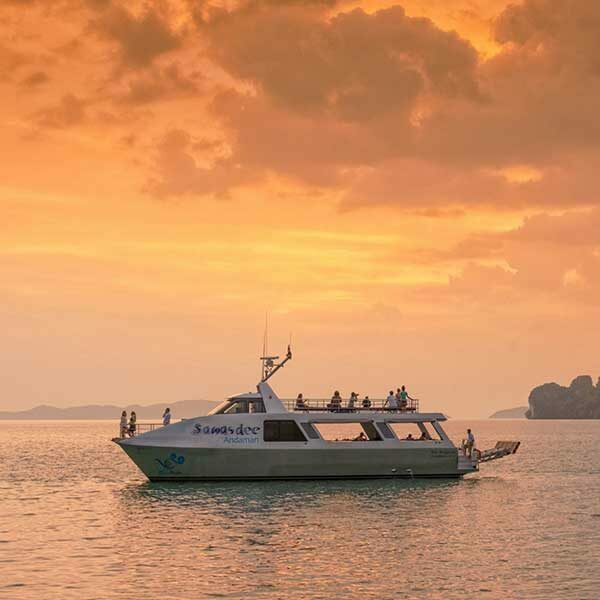 If you are planning on booking this Naka Noi island sunset dinner tour, and want to get involved with some extra activities, we suggest that you book them with us at the same time as you book this trip, it will cost you more when you get there. These afternoon half day tours are great if you have things to do in the morning or if you simply feel like having a sleep in. Enjoy a wonderful day and finish off with a sunset dinner, amazing. We also book a Full day Coral island tour if you are looking for more time over there, or just join us on this Naka Noi island sunset dinner tour. Pick-up from your Hotel to “Ao Por Pier”. 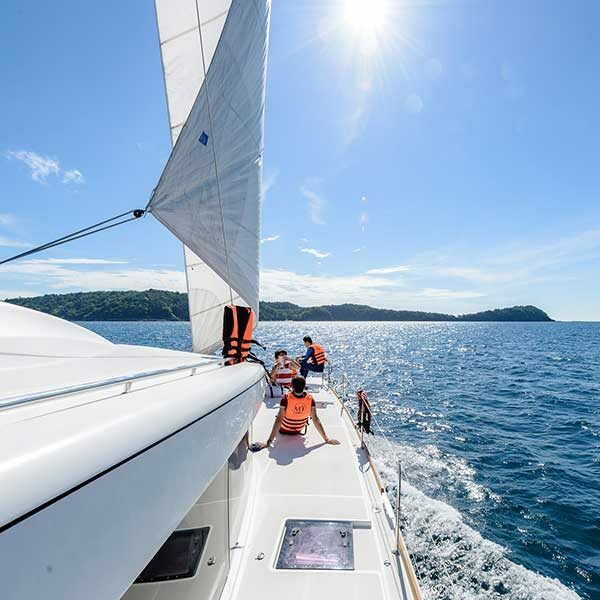 – Depart from Ao Por Pier to “Naka Noi Island” by speedboat it will take only 5-10 min. 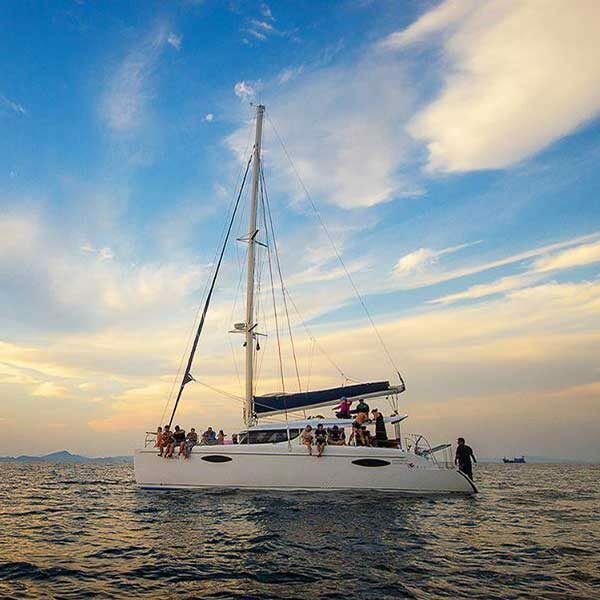 – Meet and greet with tour guide and spending your time with sea activities as sea fishing and snorkeling or swimming. Volleyball, Football, Throw darts, Kayak, Snack, Sweet drink, Mahjong, Beach chair, Card, Chess, Children toy, Swing, Life jacket, Beach building, Mini golf, Ice, Water, Life ring, Badminton. – Enjoy Dinner on Naka Island a private island with experience the beautiful and romatic sunset view. Arrive at Ao Por Pier and transfer back to your hotel.